True ministry only operates through the person who is broken before the Lord, who has a humble and contrite heart. Dr. Mickey Bonner states: “Satan has authored religions to keep men powerless and busy, rather than broken. I believe this is the “spiritual wickedness in high places,” spoken of in Ephesians 6:12. His object is to get men to focus on promotion in place of prayer. Thus, the church today, for the most part is dead. The world is dying, and no amount of religious busy-ness can save it. Our salt is stepped on, our light is dim, if not out. There is no hope except a return to God on His terms. If, however, the church did return, He would again visit His people. He promised He would in 11 Chronicles 7:14. Brokenness is a wonderful experience and the beginning of all true ministry. If you have not read “Brokenness, The Forgotten Factor of Prayer”—you must read it. It’s a book that will change your life. No matter where we are on God’s timetable, we are called to occupy till He comes. Live fully committed to Jesus Christ—and tell the world about Jesus. Dr. Mickey Bonner’s books are available at 1-800-365-PRAY (7729) or email at mickeybonner@comcast.net and the books are available on Amazon. Books by Dr. Deborah Starczewski are available on www.starministriesinc.com and on Amazon, Barnes & Nobles, and other distributors. A LEAP OF FAITH (25 Days At the Mercy Seat)…the amazing account of God raising my husband from death, healing him from two strokes, and the walk at Mercy Hospital (CMC) for 25 days— through two open-heart surgeries….a modern day resurrection story that will keep you turning the pages and give YOU hope and faith to believe God for anything. GOD’S PRICELESS TREASURE (How To Overcome Challenges, Be Transformed And Know Your Purpose)….learn how to move from drama to destiny, pain to purpose, a mess to a message, and trial to triumph through turning to Jesus Christ. THE MIDNIGHT HOUR (Will America Turn Back To God? )…a must read for every leader. Just as the LORD showed me the Blood of Jesus flowing from the Mercy Seat in heaven to us here on earth in an open vision….. just a few days before my husband went through two open heart surgeries, had two strokes, etc…that same resurrection power that raised him up is still at work in us today as believers. The full account is in A LEAP OF FAITH (25 Days at the Mercy Seat)…and will give you hope and encouragement to believe God for anything. I personally believe there is divine acceleration taking place across America and the nations–the rain of the Holy Spirit is creating a divine shift. We live under an open heaven as believers…the veil was ripped…and we can come boldly to the THRONE ROOM of grace. Don’t give up on your family, your friends, your future, this nation, or the world. God is not dead. There is a supernatural shift taking place in the atmosphere AND we KNOW GOD has already defeated the enemy–step into divine purpose with divine alignment and step out in faith to obey all God has put in your heart to do WITH HIM. It’s our privilege to pray and be the heart and hands of Jesus in the earth. Take back territory the enemy has stolen. Take new territory the LORD has given you. 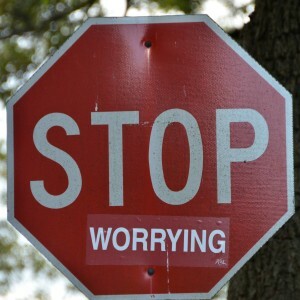 Stop worrying–and choose instead to decree and declare God’s Word. GOD’S PRICELESS TREASURE (How To Overcome Challenges, Be Transformed, And Know Your Purpose)….learn how to move from drama to destiny, pain to purpose, a mess to a message, bring life back to your marriage & family, be healed from heartache and pain from failed relationships, and turn your trials to triumph through turning to Jesus Christ in practical ways. A LEAP OF FAITH (25 Days At The Mercy Seat)…a modern day resurrection story that will give you faith to believe God for anything!